Futur is derived from the Arabic language and it suggests the condition of being severed, static, lazy or slow in contrast to a prior state of consistency and diligence. In the context of dakwah (calling to the way of Allah), it is a disease which has befallen the activists of dakwah; manifesting itself in the form of laziness, procrastination, slowness and worst off all, the halting of one’s very activism in dakwah when previously he or she is one who is active and highly-driven. Futur causes a dakwah activist to be lackadaisical in performing his task. This will eventually consequent in the delay in the completion of the said task or even the failure for it to even be completed. As a result of one’s inability to meet the temporal deadline of the said task, the implementation of a project which hinges itself on it will also be affected. Any form of neglect towards a responsibility is an infringement of trust which will be held accountable by Allah ta’ala. If futur is left unattended, it will become a habit which will subsequently result in the activist being more distant from the act of dakwah. He or she will eventually cease to be involved in dakwah. Once someone falls out of the path of dakwah, he or she has lost the opportunity to derive numerous goodness which are available through the act of dakwah itself. Worse still, he or she has neglected the obligatory act of dakwah which has been made compulsory upon him or herself as a Muslim. 3. Ending one’s life in a state of futur. 1. The excessiveness or over-exertions involved in the performance of religious practices. An example will be eating excessively. Even though eating is a necessity, but should one become excessive in it, it will have an impact on one’s physical and spiritual state. He or she will turn obese and will find it difficult to be active and consequently this condition will lead to laziness. Another example is the habit of surfing the internet or chatting. When one is over-indulgent in the Internet, he or she will feel an addiction which will consequent in prolonged periods of time spent surfing or chatting. As a result, the time to perform dakwah will be significantly lessened and one will always face a conflict of interest between dedicating time towards dakwah and the time to surf the internet and to chat. To avoid future, the dakwah activist must be nurtured so as to be moderate when it comes to matters which are mubah. When an activist prefers to be alone, he has lost an important pillar of defence from the devil as the Prophet (may the salutations and blessings of Allah be upon him) mentioned that the devil is closer to one who is alone as compared to those who are in twos and closer to those in threes as compared to those who are in twos. The devil is likened to the wolf which is always seeking to pounce on the sheep which is isolated from its flock. Surely the devil will constantly whisper into the activist’s conscience to leave the act of dakwah. As such, the dakwah activist must be trained to frequently spend more time with fellow activists to avoid futur. Mentors to these activists must spare no effort to strengthen the bonds between the activist and his or her organization as well as to ensure that there is a continuous rapport amongst the activists themselves. One of the main motivations of dakwah is the desire to reap rewards, the yearning for paradise, the fear of committing sins and the punishments meted out in hell. All these are strongly related to the remembrance of the Hereafter. As such, when the remembrance of the Hereafter lessens, it will be replaced by the remembrance of other less worthy factors. As a consequence, the motivation to do dakwah will be weakened and futur will overwhelm the activist. As such it is important for dakwah activists to be enlightened and guided such that they have a routine act of worship (in addition to the obligatory ones) which will continue to remind them of the Hereafter instead of merely focusing on thought processes and one’s expertise only. 5. Entertaining wrongful desires and acts of sin. Man will surely err and sin but one must not be tolerant towards sin or the performance of it because sins will form black spots within one’s heart (metaphoric reference to the corrosion of one’s spiritual purity) which if allowed to multiply, will weaken the spirit and consequent in futur. 6. Limiting one’s activity to a particular scope only. One of the reasons for weariness in the performance of dakwah is due to the lack of variety in one’s routine. As such, the dakwah activists must be trained to vary all their actions. This includes exposure to various acts of worship so that if weariness starts to overcome them in the performance of a particular act of worship, they can always concentrate on other acts of worship. 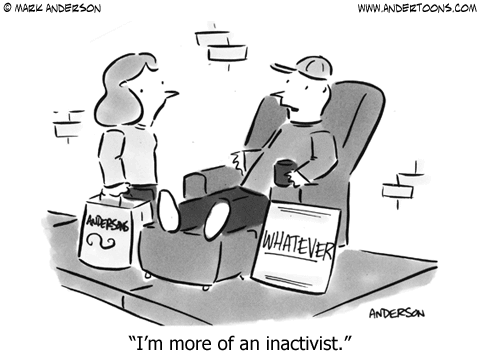 The activist must vary the nature of his or her dakwah activity so that they do not grow weary or bored. Therefore, the probability of futur manifesting itself can be reduced. Futur occurs when one overlooks his or her natural realities in the discharge of his or her acts of dakwah such as the desire to attain immediate change and having unrealistic hopes until he or she reaches a point in which frequent setbacks will discourage and break the activist’s resolve. Apart from ensuring that activists adhere to the rights entitled to their respective selves, educators and guides to these activists must also ensure that in assigning tasks to the latter that the tasks are not excessive to the point whereby the activists overlook the need to fulfil other rights. 8. Lack of preparation to face the challenges in the path of dakwah. The path of dakwah will always be filled with challenges. One who is not prepared will always be overwhelmed by these challenges. As such it is important for the dakwah activists to undergo a systematic program as one of the means of preparation prior to walking the path of dakwah. The educators and guides to these activists should not derive mere satisfaction from the myriad of dakwah activities without having ample time to educate and nurture these activists. 9. Associating more with friends who are non-activists. As such, it is important for educators and guides to activists to ensure strong friendship bonds between activists so that this bond will ensure the care and compassion for one another which will make one activist the best companion to another. This will lessen the tendency for them to befriend those who have the potential to distract them from their acts of dakwah. This is a more preferred method as compared to denying activists the right their own choice of friends. 10. Dakwah without a proper system. A task which is performed without adhering to a proper system and planning will end up being a tiresome one and the final quality of the product will be compromised. This will then surely affect the activist’s spirit and subsequent commitment towards dakwah. It is the responsibility of educators and guides to ensure that there is a comprehensive structure governing the programme to nurture and produce activists in order to avoid the above mentioned factor. In addition, educators and guides must set a good example to budding activists. 1. Avoid the performance of minor sins, what more enormities. 2. Coming up with a routine for the performance of acts of worship in the day and night. 3. Avoid excessiveness whether it be in the indulgence of things which are mubah or in acts of worship itself. 4. Building of rapport with the organization and fellow activists. 5. Educating activists on the importance of understanding and celebrating the realities of nature in the performance of dakwah. 6. Cultivating a culture which is properly planned and systematic. 7. Granting a break for activists before weakness manifests itself. 8. Allow the activists some time to indulge in mubah activities such as joking, rest and recreational activities. 9. Share the stories of the Prophet’s beloved companions and the righteous people along with their struggles and missions as positive reinforcements and spiritual re-invigoration. 10. To give reminders which arouse the remembrance of death and the Hereafter. 11. Encouraging activists to frequent gatherings of knowledge beyond those conducted by their educators and guides because this will help in the process of establishing the right understanding of religious matters and will certainly bless the activists and their dakwah initiatives. This article was written based on the book Afat ‘Ala Tariq by Dr Sayyid Muhammad Nuh and its translation which is entitled Terapi Mental Aktivis Harakah, Pustaka Mantiq, Indonesia, 1995.